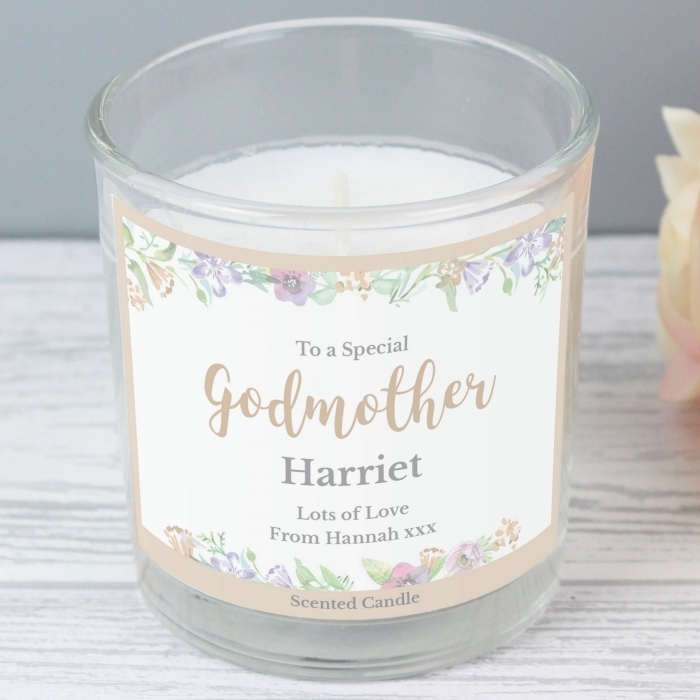 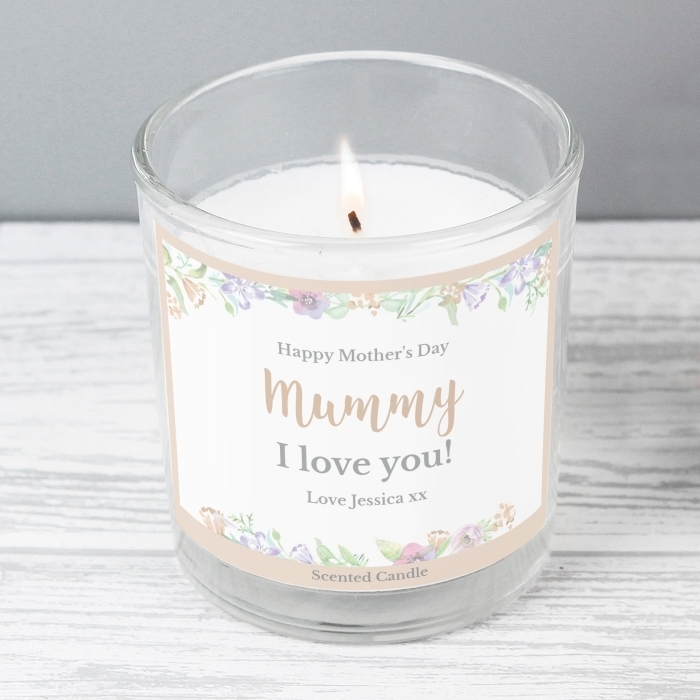 This Personalised Floral Watercolour Scented Jar Candle, is a sweet smelling treat for a godmothers. 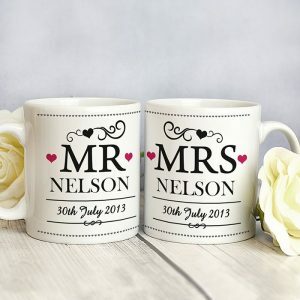 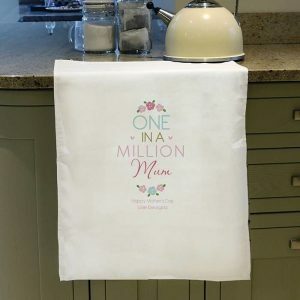 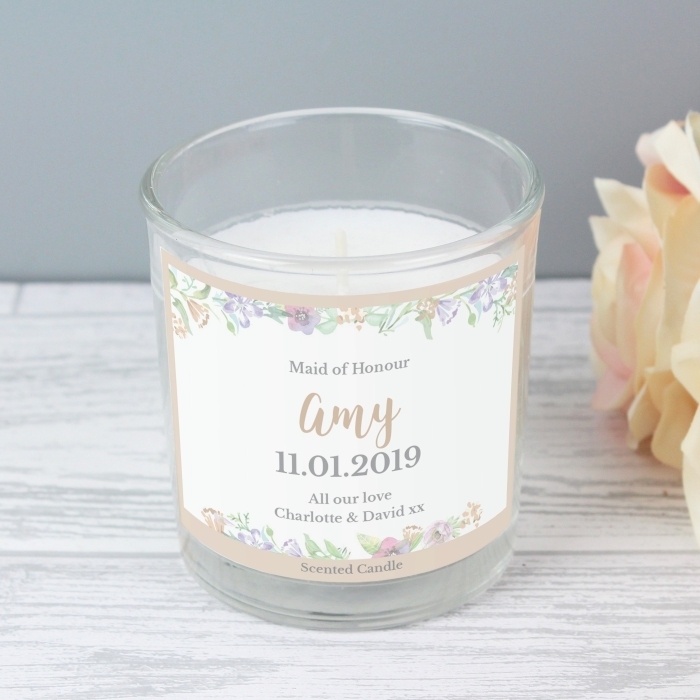 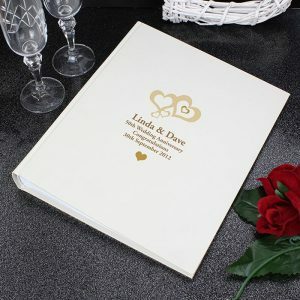 Beautifully designed with a floral themed label, it can then be fully personalised with the addition of a message of your own choosing, to make it just right. 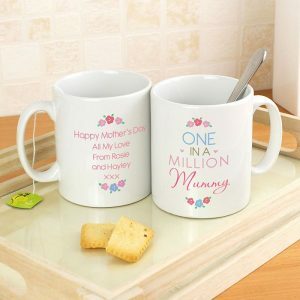 The perfect gift for godmothers that’s sure to bring out the biggest smile. 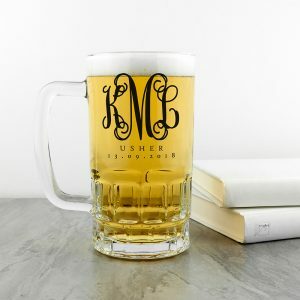 Approximately 25 hours of burn time.